Pop trio Muna were on Jimmy Kimmel last night to promote their (superb) new album About U - but they did something different instead. Standing in front of the poem that's on the Statue of Liberty ("give me your tired, your poor, your huddled masses"), singer Katie Gavin added a new verse to their single, I Know A Place. He's not my leader even if he's my president. This, I presume, is the sort of thing people were expecting from Lady Gaga's Super Bowl show. 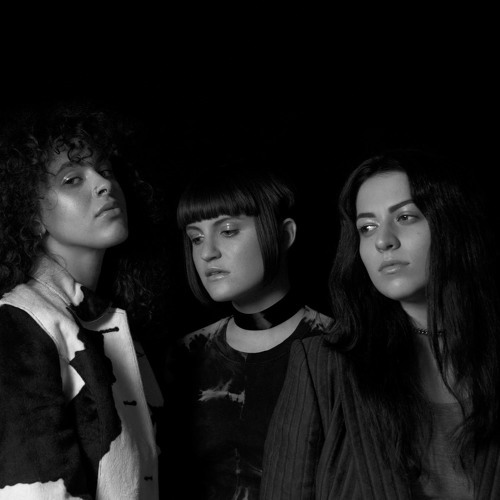 Muna also performed Crying On The Bathroom Floor from the new album which, as previously mentioned, is superb.